Treasure has teamed up with Nicalis to bring at long last (after some cruel teasing) legendary Arcade/Gamecube/Dreamcast cult classic Ikaruga digitally to the Switch on the 29th of May. 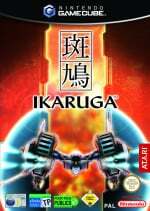 I’ve always thought that Ikaruga is one of the most perfect vertical shooters of all time, and I know that a lot of shooter fans agree. The fanboy in me is honored that Nicalis can work with Mr. Maegawa and Treasure in bringing this legendary game to Nintendo Switch. We have a feeling Mr. Rodriguez is not alone judging from the excitment from our very own NL arcade enthusiast community. Bask in the glory of the official announcement trailer below. Will you be picking this up for the first time, or are planning to finally retire your GameCube or Dreamcast copy when this one releases? Take a deep breath and tell us what's on your mind in the comments below. Can't wait. I'll be getting this for sure. Yes! Absolutely loved this game on GameCube. Day one buy for sure. Still got my Atari GameCube copy but would love to get this for the portability. Now GCN ports, will the GCN owners ever feel special anymore?! Bu seriously though, this is slightly arousing. Years ago on the GC a friend of mine and I spent weeks playing this over and over until we were able to complete it in one credit in co-op mode together, the game is an absolute work of art. The music, the presentation, the gameplay, the simplicity, the complexity, it's a perfect experience. Probably by favorite game ever made and I'm very much looking forward to getting into it again soon. I've never played it. Time to change that. Sold... errr bought... umm. Yeah I’m getting this. Am I the only one that hates Tate Mode. It seems like such a waste of screen real estate to me. 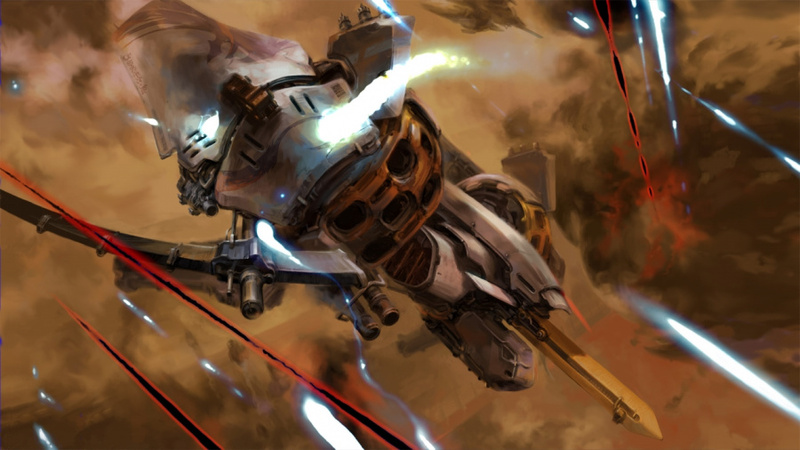 I liked Ikaruga, but that simple thing held me back from loving it. I might get this. Would really prefer an Einhander remake though. Talk about perfect shooters. @Gen0neD Well, you can always detatch your joycons and flip the screen sideways, since it supports actual TATE mode. That's probably how I'll be playing for the most part. I shall Treasure this game! Yes!!!! Now for Radiant Silvergun?! Pssst!! hey Tyrone where the hell is 90s Arcade Racer?? I’m still waiting buddy!! Please finish it finally!! Oh oh! Clean up, aisle 3! I would definitely be on board with that too! One of the best shooters I've played. Awesome! Now just add Axelay and Sin & Punishment and the Switch will become pretty much the ultimate SHMUP machine as far as I'm concerned. I got it one last time on PC so I can own it for ever - Good enough for me. Love the shmup genre but somehow I have never played this, and I've owned both the GameCube and Dreamcast. A rare and seemingly glaring blindspot in my gaming life. I'll have to get this for Switch now. Ka-ching! Another shm’up for Switch for me to buy! @link3710 True. But I’ve got a 65” 4K that is what I’d rather play it on. With all the action happening on screen, that tiny screen ain’t really cutting it for me. I have it on Dreamcast, have it on Gamecube, will buy it again for the Switch. With this, Psyvariar Delta (physical!) and Gunbird 2 on the way, i couldn't be happier about owning a Switch. @Gen0neD If the screen was horizontal, you could maybe cheese most of the patterns by strafing until the spread dissipated. I'm sure it would have quite a profound impact on survivability. @Gen0neD Could always get a rotating monitor stand. May SERIOUSLY needs to chill...good god lol. @Shiryu I think my Switch is trying to kill me. @Expa0 If Axelay gets ported to Switch my brain will straight up fall out of my ears. Anybody know if this is getting physical? @Gen0neD Tate mode is when you rotate the screen sideways to accommodate the game's vertical display. Yoko is the word for what's going on here, with the screen in the center and extra space on the sides. 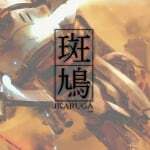 I'd pay $40 for a physical copy of Ikaruga on Switch. Now...how about Radiant Silvergun? Or a Sin & Punishment collection? I hope this is the start of a new trend with Gamecube era games. First game announcement since Smash that I've been truly hyped for this year! what another port!? YEEEESSSSSSSSS love this game...is it the onfirmed Cube version or the arcade? The Cube one was better. Jeremy Parish please get that handheld portrait display grip up for sale! @Agramonte I have this on Dreamcast and 360. Going in for a 3rd time for switch. @ultraviolet Does Xbox version let you turn it sideways and play in true TATE mode, like the game was intended? No? Huh. I have some games I call "archived" (ikaruga, Okami, Valkyria, DariusBurst)... I get them on PC just so I can have them forever. Once that happens - never really have the urge to get them again. Definitely one of my favorite shmups of all time, a Day One buy for sure. Physical would be even better, but I'll take digital. I still have an unopened sealed copy of Ikaruga on my GameCube so now I won't have to open it. I never got around to playing it so now I can keep it sealed and buy it on Switch. Im happy it's coming to the Switch but more importantly I'm glad Nicalis didn't jack the price up for once. Played some of the game years ago but never to completion. Another one added to my want list. Switch is quickly becoming my favorite Nintendo system since the SNES. My frothing demand for this game increases! Now if someone would rerelease Armada for Dreamcast.... Am I the only one? OMFG using the word "shumps" is way way more annoying than "sness". The Switch has brought shumps games back to life, so excited! One of those apparent classics you can only hope to emulate someday later... and then they just get ported for you and your wallet to pounce on. To the wishlist. I hope everybody buys this! Treasure is the greatest and I would love to see as much of their library on the Switch as I can get. Perhaps bring their developers out of retirement? Nicalis?...Does that mean we can expect a physical edition down the line? Definitely not my favorite shoot-em-up but if it's $10 bucks I am sure I'll pick it up. I wonder if this means Radiant Silvergun is coming. Have this on my Steam and love it very much. Definitely will double dip on Switch version. This should of been physical, or release a physical Treasure collection. @JoeDiddley The game is just over 20 minutes long. The difficulty is the point of the game (and genre), learning the game, finding the best routes, finding the "Zen" that is required to complete it. Playing it over and over is the purpose of the experience. If you give it a go, try to keep this in mind, you can learn to love it. @kepsux have you seen the video of one guy completing ikaruga playing 2 player (both ships at the same time) It's mesmerising! @YANDMAN hold on to your butts coz nicalis teased more surprises next week. @link3710 I agree, me too. I was disappointed with 1945 II as there was sooooo much unused screenspace, but then I discovered the joy of rotating the screen. Played this on my Cube. Didn't get the fuss. Pleased for all those pleased about this though. It is not I am not happy to see you guys asking for Radiant Silvergun and Sin & Punishment... but I am a bit disappointed not a single one of you asked for Bangai-O. What can I say, I like my mechs with fruit. @Oat Imagine that on the Switch, with zero slowdown. @Shiryu That would be wonderful! And I almost forgot about how bad the slowdown was on that game. My god did the ds almost die trying to keep up with that game. @Oat 64 version is hands down the best and the box art is killer.